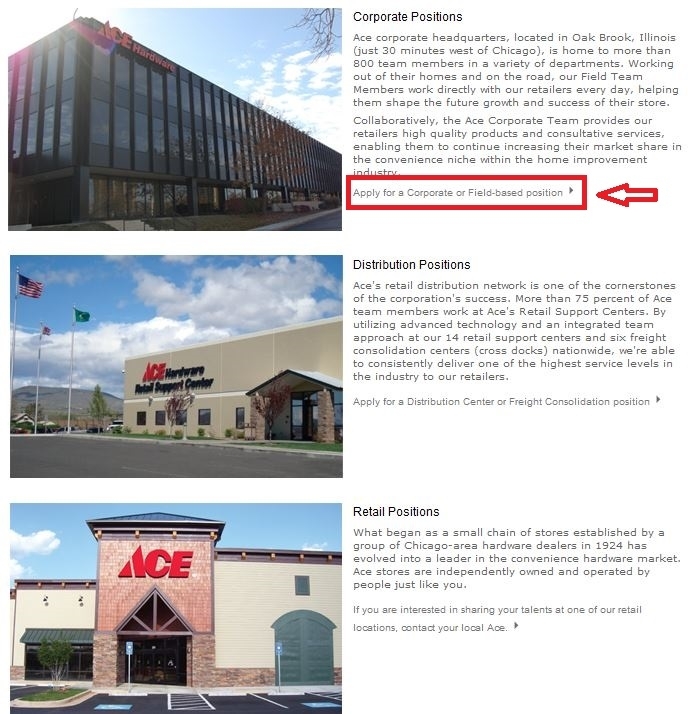 Visit Ace Hardware careers page at acehardware.com/careers or acehardware.com/jobs and know more about Ace Hardware and its careers, such as the company history, career opportunities and benefits etc. 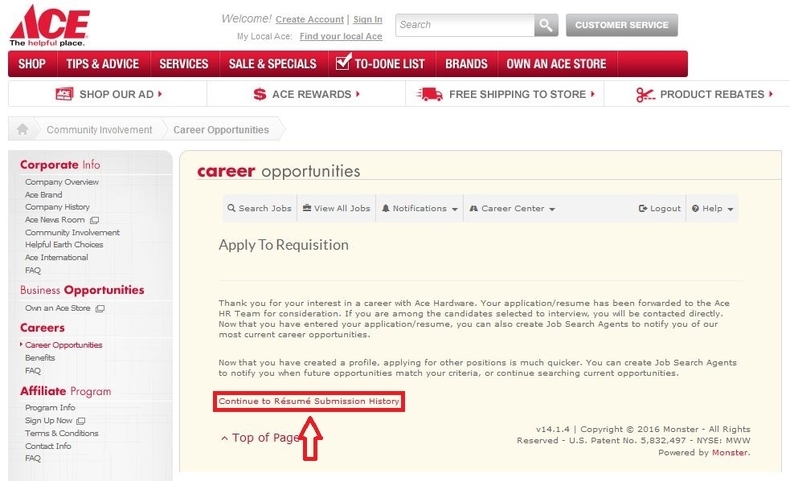 You can click "Career Opportunities" to view career areas at Ace Hardware. Browse the three careers areas and choose the area you are interested in. After the previous step, you will be entered into a page where you can find three careers areas including corporate positions, distribution positions and retail positions. You can apply online if you want to apply for a corporate position or distribution position. If you are going to apply for a retail position, you need to contact your local Ace. Here we choose the first area and click the link search job opportunities. 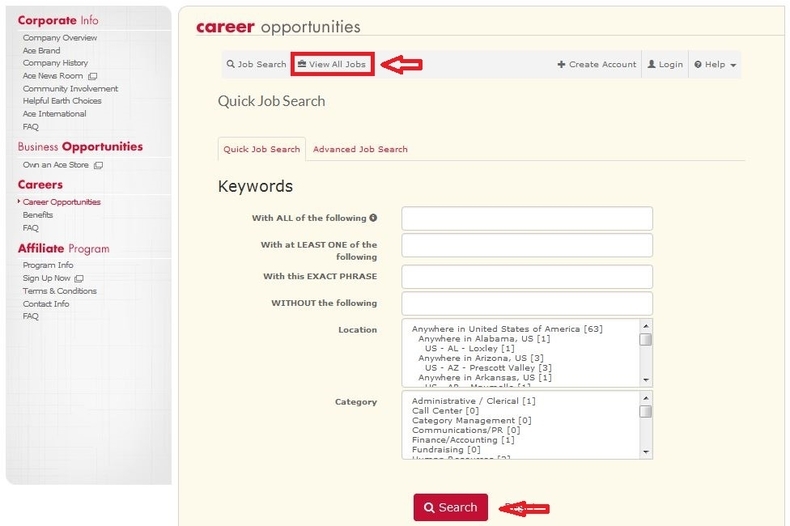 Enter keywords and click the search button to find job opportunities for you. 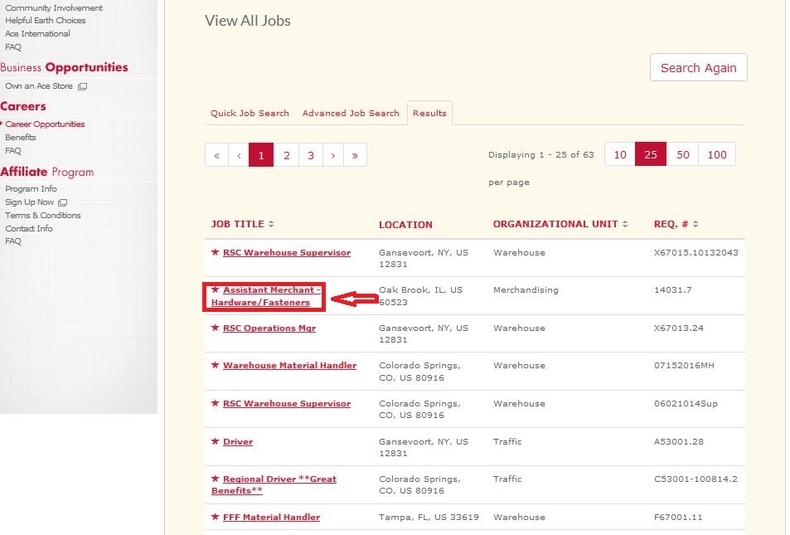 Or you can click "View All Jobs" to browse the entire job openings list. Here we choose to view all jobs. 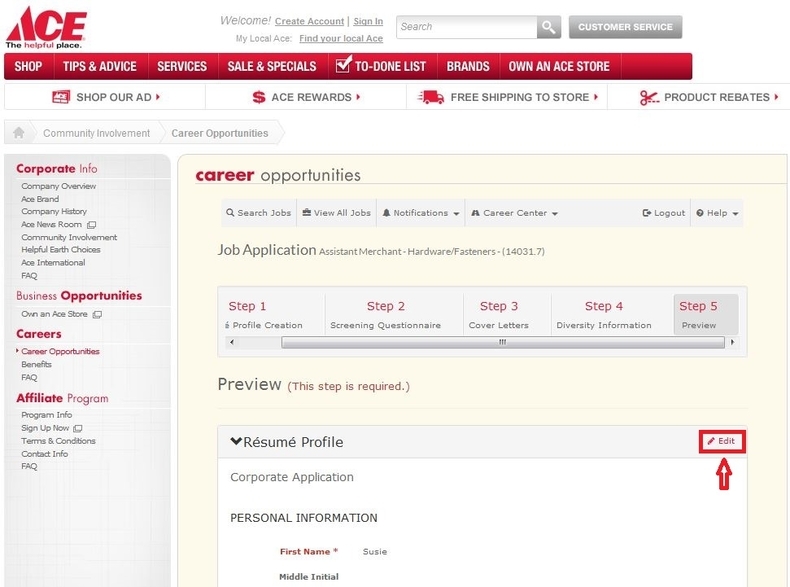 Browse your search results or all the job openings and select the one you are most interested in to apply for. You can click the job title to view the details of each position, such as general information, job description and job requirements and think about if you can match the job requirements or whether you are going to apply for the position. 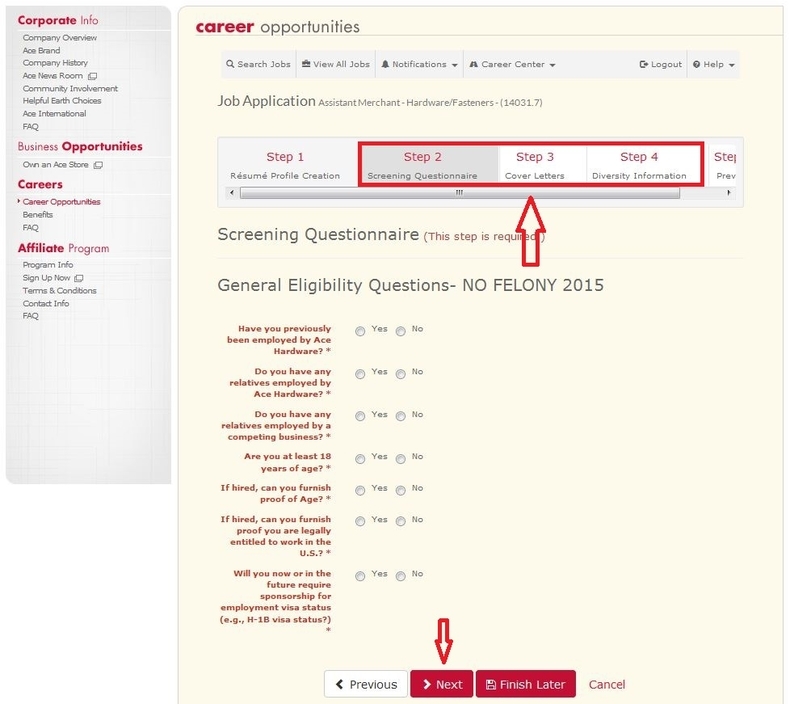 Once you decide, just click the button "Apply to this job" at the bottom of the job details page to start your job application. Enter your user email and password to login. If you are a first time user, just click the button to create a new account for you. 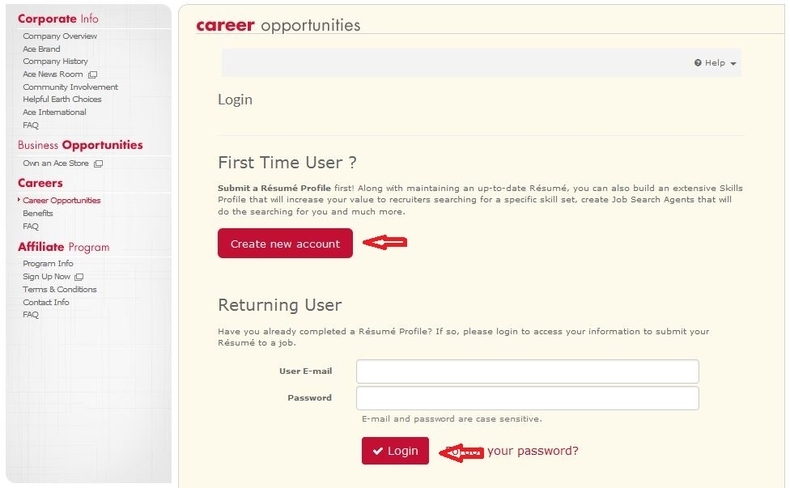 Upload your resume or create your resume profile by filling out your personal information, reference information and employment history and then click the button "Next" at the bottom of the page to continue. Please notice that the fields marked with asterisk are required. Follow instructions to finish the rest steps, such as finishing the screening questionnaire, creating your cover letter and providing diversity information. Complete all the required fields in each step, you need to click Next to proceed to the next step. Review or revise the information you provided and then click the button "Finish" at the bottom of the page to submit your application. You can click "Edit" button in each part to modify the corresponding information. After you click Finish, you will be entered into a page where you can see a notification which indicates your application has been finished. 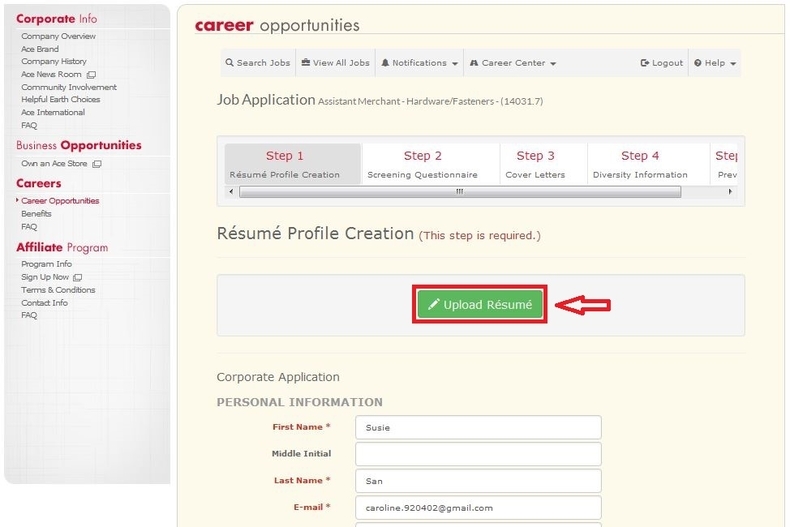 You can click the link below the notification to view your resume submission history. 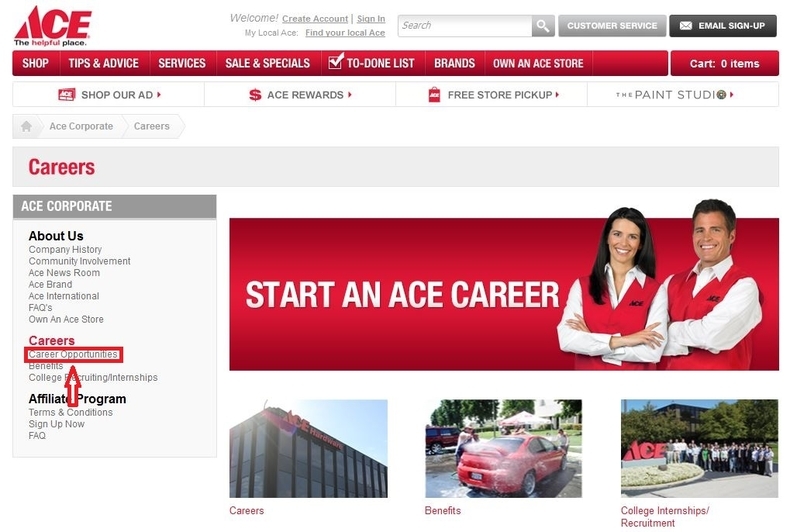 Click acehardware.com/careers to apply for Ace Hardware jobs online.